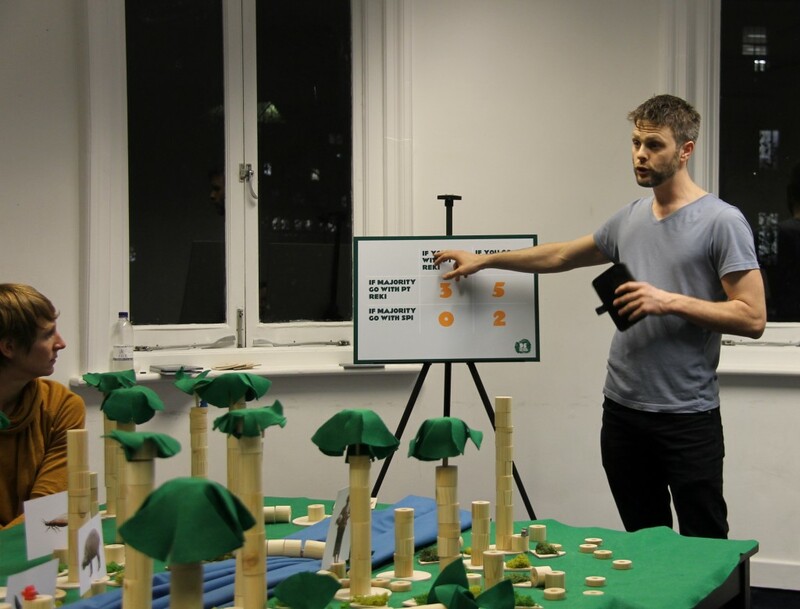 Coney was commissioned by Forum For the Future to create an interactive game as an introduction to living systems for the School of System Change. 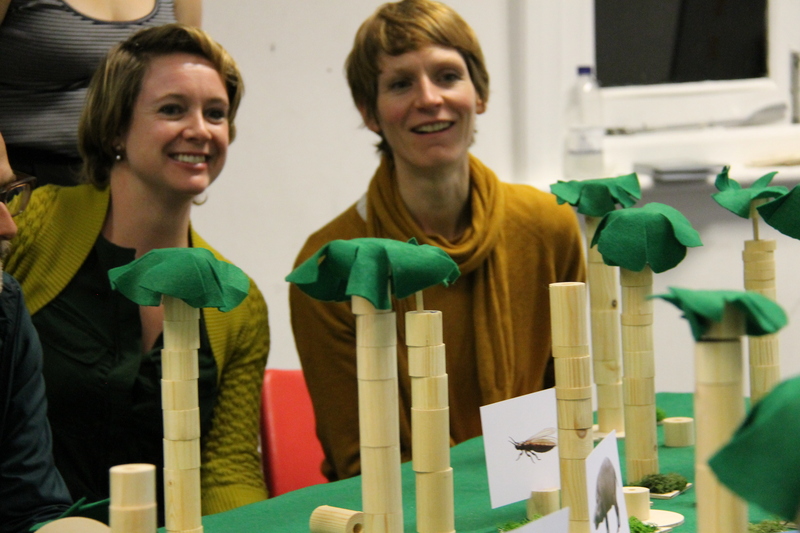 95 Years or Less is a tabletop game based around the Harapan Rainforest in Indonesia. Artist Nikki Kennedy from Boho Interactive talks through how the team created this piece over the last month. “Over the past month I’ve been working on a new and exciting project for Coney called 95 Years or Less – a systems based game prototype for Forum for the Future. Forum are a very cool non-profit company who work with businesses to find systems solutions and different ways to approach sustainability in their organizations. I’ve been working with David Finnigan and Toby Peach – as my co-game/presentation artists, Ben Jones on design and making all the little pieces for the games and Natalie Adams – keeping us all on top of things and being generally swell. An inimitable team. 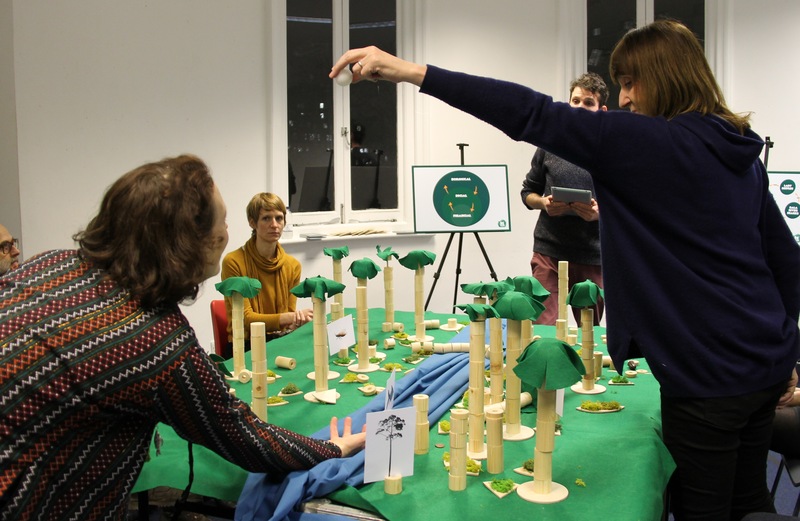 Our brief from Forum for the Future was to create a game that explained Living Systems Perspective – to be used as an introductory tool for those learning about LSP and to played by their School for Systems Change students who are in training right now. The game was to be about the Harapan Rainforest in South Sumatra, Indonesia and explore some of the systems and patterns occurring in that area. 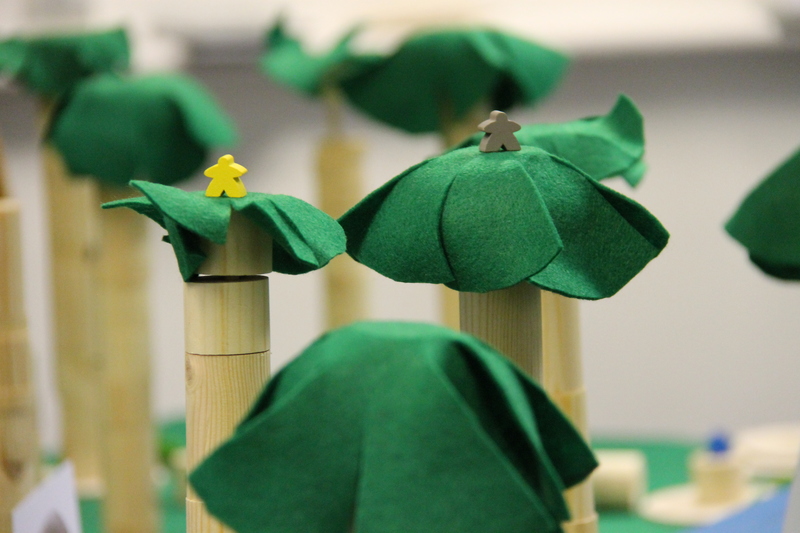 Harapan (or ‘Hope’) Rainforest is a fabulously interesting place to make a game about. It is home to many endangered and endemic species like the Sumatran Tiger, Asian Elephant, Sumatran Rhino, Sun Bear and Rhinoceros Hornbill. In 2008 Indonesia decided to create an Environmental Restoration Concession of the area and lease it to a group of NGOs (RSPB, Birdlife International and Burung Indonesia) in an attempt to preserve the forest, and help recover or reforest the logged land. They are now collaborating with local farmers and Indigenous people in the area to preserve the forest, reforest the logged land, and protect the endangered plants and animals in the area. The team didn’t understand that much about Living Systems Perspective when we began, so it’s been a bit of a learning curve and we’ve had to do some rethinking of our own perspectives in the process. Approaching an immense system like Harapan and trying to just gain a basic understanding of the complex systems at work there is also no easy task. We have by no means got a comprehensive view of it even now, but we have got enough of an idea to have made some games to promote discussion and feedback. The games we’ve tested have so far indicated that we’re on the right track, and now it’s just polishing them up and making them really operational and super fun. It’s been an amazing environment to explore and the questions it has raised around sustainability and environmental management – particularly looking at sustainable timber supply in the future – are enormous and crucial to our continued existence and interaction with the earth’s system.